As a business owner one of your key jobs is to find and keep customers. The success and longevity of your business depends on it. Inform your target customer of the products / services that you offer. Allow potential customers to discover how you can help them. Attract interest in your special offers. Build brand identify and recognition amongst your target audience. However advertising can be expensive. And as a small business owner, you want to ensure you get the best return on your investment and see your efforts attracting interest and most importantly generating leads. 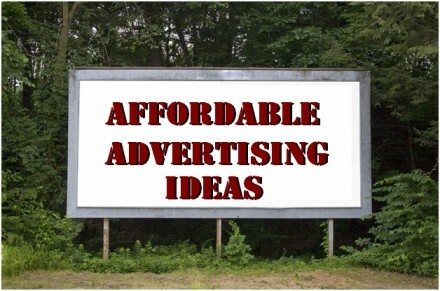 To help, here are 8 ideas you can use to advertise your business on a budget. Website: If you run a business having an online presence is almost essential. Even if you don’t sell products directly through your website, potential customers will still want to be able to “check you out”. A well designed, well written website hosted on your own domain will help you give potential customers the right first impression and encourage them to get in touch. Business cards: Make it a habit to always carry a handful of business cards. As a minimum they should display your business name and logo along with your name, web address, email, contact number and social media IDs. You never know when you may meet a potential customer and a business card will serve as a handy reminder of all the ways you can be contacted. Tweet: Used well social media is an incredibly powerful tool for building relationships and engaging in 2-way conversations with potential clients. Avoid the temptation to broadcast your sales message, as you’ll be ignored. Instead show up, be interesting and share useful content that initiates interaction. Press release: Regularly identify interesting news stories in and around your business and inform the local media through a press release. Choose the right angle and your news could be published and in turn you secure free, valuable publicity. Network: Face-to-face networking is a great opportunity to make new contacts and find out what potential customers are looking for. The secret is to “sell through the room” and nurture relationships. Avoid the temptation to turn up once and sell, sell, sell! Customized mat: If you have premises, customize your entrance with a properly fitted mat that displays your logo, colours and tagline. As well as serving a practical purpose, this accessory can help build brand identity as well as making a professional first impression to your visitors. Blog: Regular blogging can help you earn credibility as an authority in your specialist niche. Publish useful, relevant content on your website that your target audience can consume, and when they need your product or service, they will think of you and may get in touch. Stay in touch: Customer contact details are invaluable so make the most of them. A regular, informative newsletter or strategic emails can keep your business in the mind of your audience. What’s more it’s an inexpensive way to keep customers up to date with your latest offers, news and deals. Regular advertising of your business is a critical activity that you need to commit time and attention to. What creative ideas do you have that will help your business find and keep customers? Georgina El Morshdy writes articles for Mats Direct providers of Entrance Mats which can be branded with your image or logo.